Good Chemistry Brewing Opening Our First Pub! 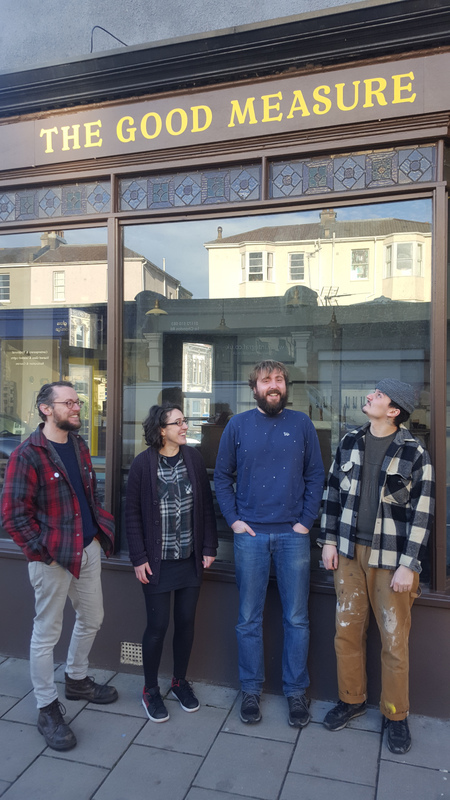 Bob, Sam and I (Kelly) are incredibly excited to announce we are opening our first pub in Redland in December! Called ‘The Good Measure’ this new venture joins a number of incredible independent food and drinks businesses on the popular Chandos Road, and will serve a range of cask and keg beers, plus natural wines and spirits. We’ve spent the last three years working really hard to establish a strong customer base in our beloved home city of Bristol, and in that time we’ve not only developed a reputation for great beer but also fun and popular events. Some of those events we’ve put on, like our birthday party, some of our pub tap takeovers and of course the hugely popular East Bristol Brewery Trail (of which Kelly is the main organiser), have become regular fixtures in the Bristol brewing calendar. We now hope to bring the community feel we’ve built at our brewery tap in East Bristol to our own pub. At the brewery’s third birthday in August this year, the whole GCB team chose beers from some of our favourite breweries to share the bar alongside our own beers. This is the approach we will take at ‘The Good Measure’, with permanent Good Chemistry Brewing beers on draught alongside a carefully curated line-up of both cask and keg brews from across the country. We can’t wait to bring these breweries to Redland! We’re also looking forward to running tap takeovers and other fun events next year, so watch our social media for more details of these. The main man behind the taps at ‘The Good Measure’ will be the fabulous Will (here with us outside the pub). As well as running pubs in Bristol for over five years, you might recognise him from helping out at this year’s East Bristol Brewery Trails at GCHQ. Sam, Bob and I are over the moon to have this guy on the team, and he’s ready to give you all a right warm welcome! As you may have already heard, we won’t be running our popular Christmas market at the brewery tap this December – all the work involved in setting up the new pub is part of the reason why, and we hope now we’ve opened up about what we’re up to, you’ll understand that we couldn’t do both well. The hard work is underway, and ‘The Good Measure’ is expected to open before Christmas. We very much hope to see you up there once the beers are flowing! Please give us a follow on your preferred social media accounts on twitter and instagram (@TheGood_Measure) and facebook (@TheGoodMeasure.Bristol), and visit our website which will be up soon.